Taking into account countries of the EU only, Croatia is on the third place! Many thanks to Dr. Matija Bašić and to Kristina Ana Škreb, MSc, for sending us the above two photos. a winner of gold medal for Croatia at the 56th IMO in Thailand. The International Mathematical Olympiad (IMO) is the World Championship Mathematics Competition for High School students and is held annually in a different country. The first IMO was held in 1959 in Romania, with 7 countries participating. Nowadays, there are over 100 countries participating from 5 continents. In 2015, the 56th IMO was held in Thaildan. Croatia has one gold medal - Adrian Beker, three silver medals - Petar Orlić, Kristijan Štefanec and Danial Paleka, one bronze - Ivan Lazarić, and Lukas Novak participated. This is the greatest success of Croatian team in history, and the overall ranking among 104 countries is surprisingly high 15th place. If we take into account countries of the EU only, Croatia is on the third place, just after Romania and France! The first 33 among 104 participating countries, according to the overall results of competitors. The competition is organized on individual basis. Source. Number of participating countries: 104 (equalizing the record number in 2009 at the IMO in Germany). Number of contestants: 577, among them 52 female. Congratulations to the members of the Croatian national team for their painstaking work during the past months and years, as well as to their parents, high school professors and colleagues who prepared special trainings for them at the Univeristy of Zagreb in June 2015. 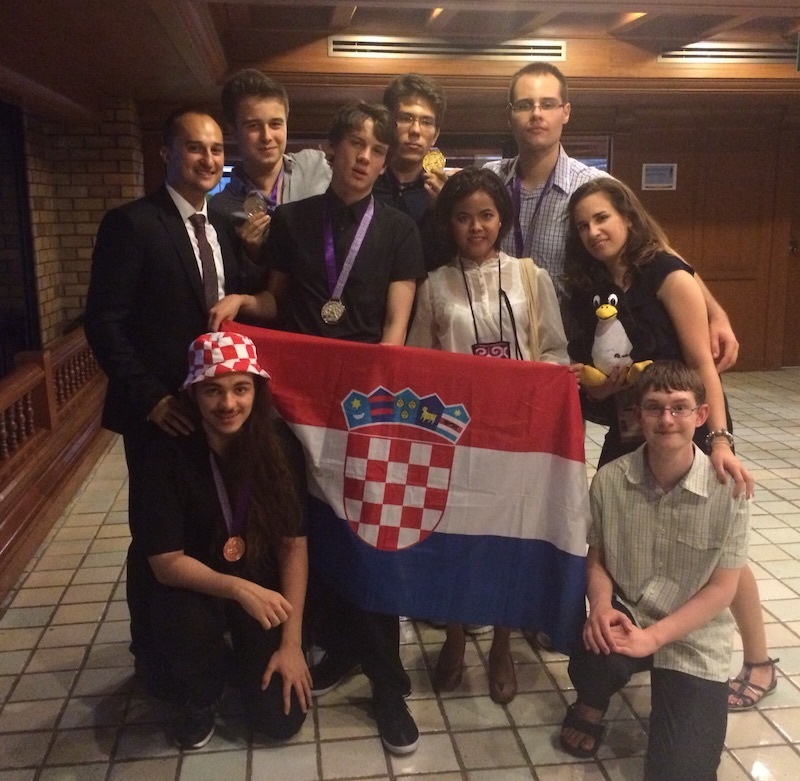 Leaders of the Croatian team were Matija Bašić, PhD, and Kristina Ana Škreb, MSc, from the the University of Zagreb. Many thanks for their excellent job in Thailand. Students solve six math problems in two consecutive days, during 4 hours and 30 minutes each day. Gold medals: 39 (score ≥ 26 points). Silver medals: 100 (score ≥ 19 points). Bronze medals: 143 (score ≥ 14 points). The first IMO was organized in 1959 in Romania with 7 participating countries. In the recent years the number of countries has increased to about one hundred. ... It is not only the oldest international academic Olympiad but also the most widely recognized. Many talented young people from every corner of the world aspire to take part in it to measure their own competencies and further enhance their potential. But the IMO is not just a competition arena. It is a meeting place of the like minds and as such it provides the participants with valuable opportunities for exchange of knowledge and ideas. Therefore, it is indeed a privilege for the Institute for the Promotion of Teaching Science and Technology (IPST) to co-host the International Mathematical Olympiad for the very first time in Thailand. IPST hopes that the Olympiad, on one hand, will not only enhance the academic atmosphere but also forge stronger international relations and better understanding among the countries. On the other hand, it will help the participating young people to realize their own talents and stimulate them to go the extra mile. Eventually, it is all for the benefits of education development and any other mathematics-based learning and undertakings. Last but not least, IPST sincerely hopes that you will all take back with you fond memories of this event and either new or stronger friendship. 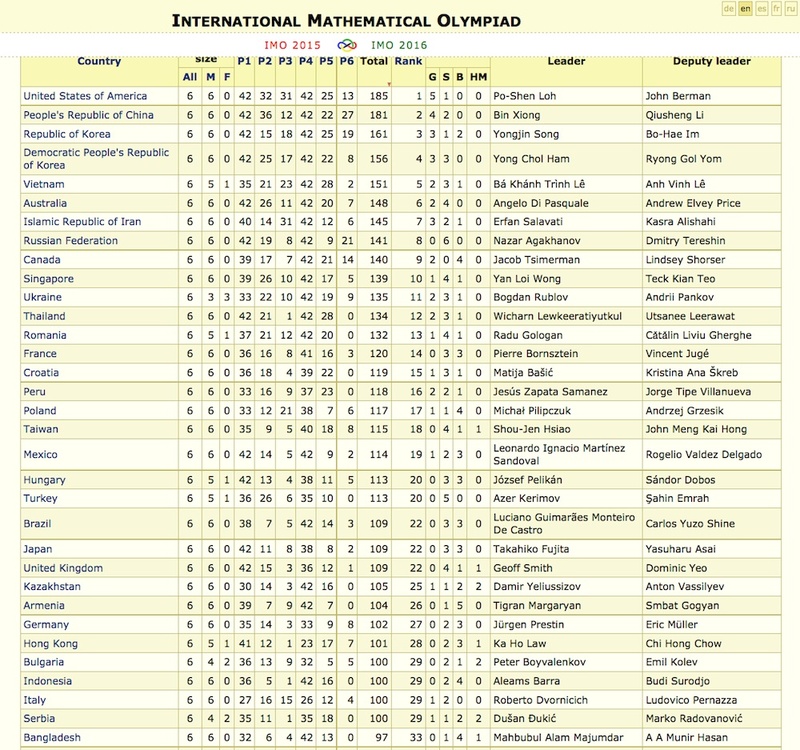 Once again, welcome to the 56th International Mathematical Olympiad!